Written by guest blogger Denise Deby, who has worked in international and community development on social and environmental issues. 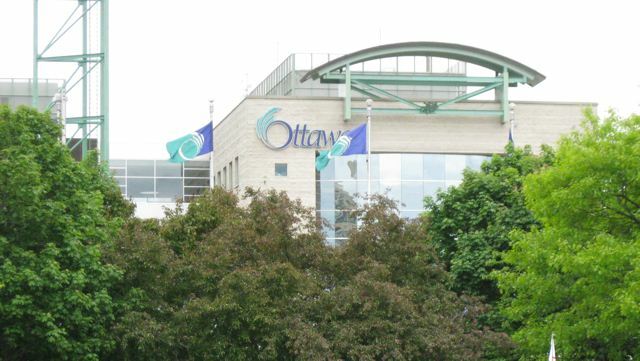 There’s still a summer and fall to go before the 2010 municipal election on October 25, but Ecology Ottawa is already encouraging action on the environmental issues that our council needs to address. Attend a community meeting on the environment for Orléans, on July 6 from 6:30-8:30 pm at the Orléans-Cumberland Community Resource Centre, 210 Centrum Blvd. One more thing to check out: Ecology Ottawa’s new blog on environmental issues and actions that everyone can take (they’re also looking for bloggers). Iam running for mayor of Ottawa. As the main media has limited new candidates exposure. If you go to my web site you will see that I am promoting a 21st century transit System. That 1000 drivers said; this is what they had been asking for in a new transit system. If you like what I propose please pass it on to others intersted in a key enviornmental problem. On a Global scale. I also created the first Innovation Hub in 1995 to address the 1989 economic down turn. By supporting Grass Roots R&D Using everything a community believes as no more value. An innovative way to address waste that could help address a lot of the things we toss in the garbage or sen as having no value. Including this days people.